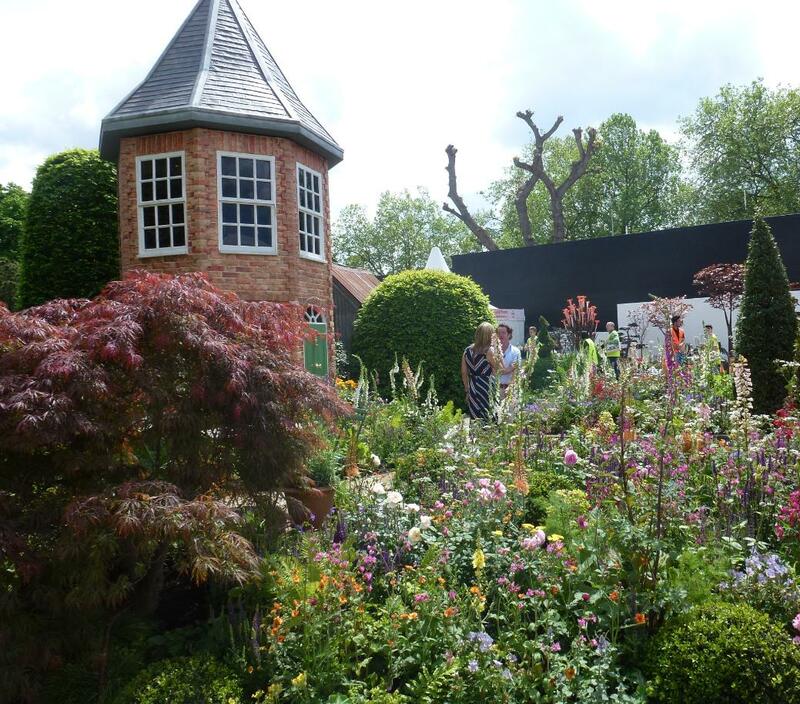 Each year we have a Trade Stand at the prestigious RHS Chelsea Flower Show. It makes for a really enjoyable day out and we strongly recommend you put it on your list of places to visit in 2017. 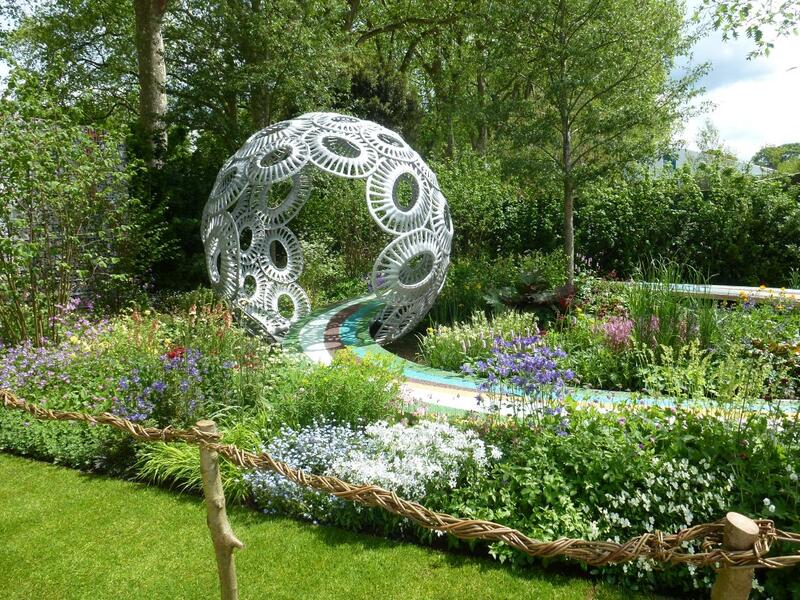 The first RHS Chelsea Flower Show was held way back in 1913 and, apart from a few gaps during the World Wars, there's been one very year at The Chelsea Hospital ever since. 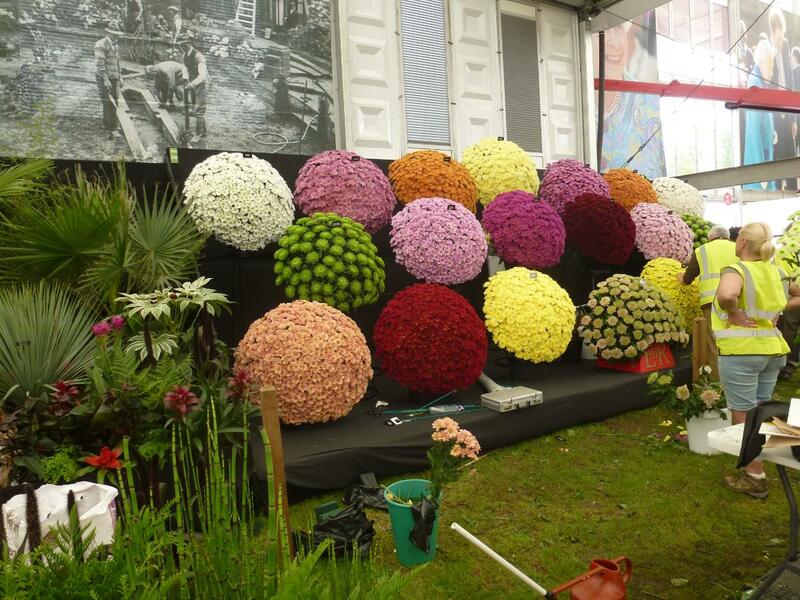 Although no longer the biggest Flower Show held by the RHS - in recent years Hampton Court has over taken it - it is most definitely still the most prestigious. In fact, ever since the very first show The Royal Family have made a visit to Chelsea on the Opening Day of the proceedings. In 1913 there were 244 exhibitors and last year there were 550 - who knows what 2015 will bring in terms of this figure. We do know you have to get in very early to secure your Trade Stand place. The Great Marquee - first set up in 1951 - secured Chelsea a place in the Guinness Book of Records as the worlds largest tent at three and a half acres. This was replaced in 2000 by the current modular structure - the remains of the old Marquee were cut up to produce 7000 aprons, jackets and bags! You'll be able to see the best in our range of Quality Garden Furniture on our Trade Stand at the forthcoming Chelsea Flower Show in 2016. Hand Woven Rattan Garden Furniture. From Ecolene or ViroFiber or AbacoXF. The foocus is on quality and suitabilty for regular outdoor use with family and friends. Chunky and luxurious outdoor cushions, available in wide range of colours, come as standard with these sets. Complete the look of that dining set perfectly and get some shade when needed. From Roma Cantilever Parasols to our range of Bambrella and Diamond Teak Parasols we guarantee you won't be disappointed. Olefin Fabrics are used for many of the canopies and these are replaceable. We also sell a superb range of bases in a variety of contemporary and more traditional styles. Seeing really is believing with these. Up to a massive three metres in length and available in the highest quality Burmese and Reclaimed Teak. They are all hand made to the most exacting standards by time served crafts people. Whether it's the Four Seasons Gazebo, that's perfect for outdoor use all year round, or our stunning range of Deluxe Wooden Gazebos we've always got at least one on display on our Trade Stands. And they really are of the highest quality for sale on the market today. 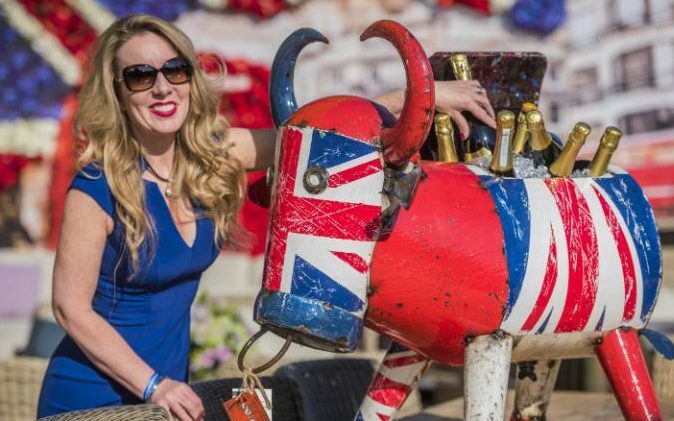 Our very own Debbie and Alfie The Union Jack Cooler got snapped up by The Telegrapg and put in their news feed from RHS Chelsea 2016 - looking good Debs! 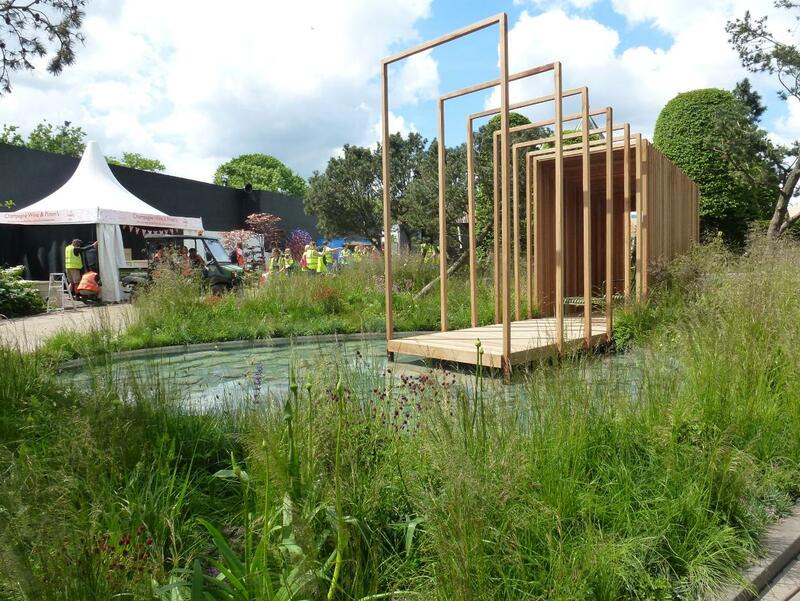 The highlight across all the RHS Flower Shows for many people are the Show Gardens. 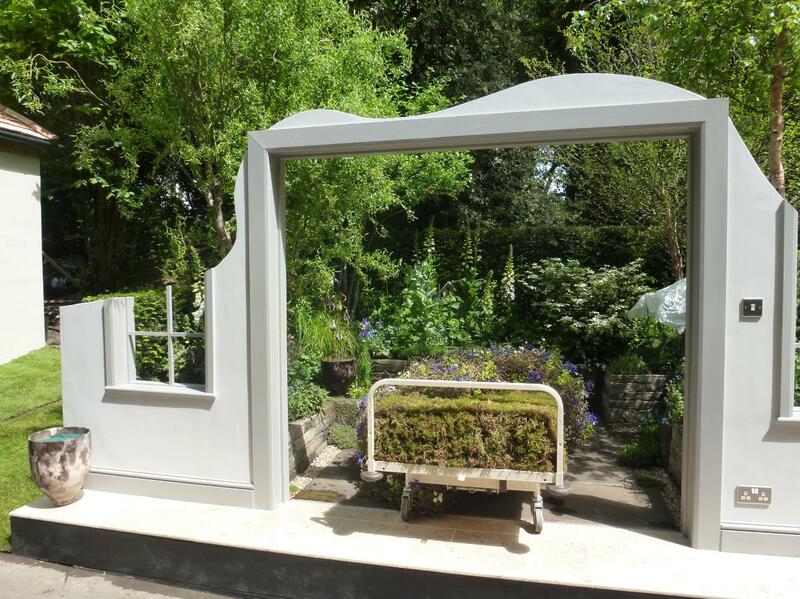 For those who haven't yet been lucky enough to experience these we've provided a selection of photos from this years Chelsea Flower Show below. For further information about our UK Trade Stands throughout the year please call our Showroom in the Midlands.